1. It's well written and plotted...and sub-plotted. 2. The characters and their plights are interesting. 4. It's both an epic romance and an odyssey of sorts. 5. Features a motorcycle club. 7. Is nice and long and ties up all loose ends of the characters featured. 8. Has many other books in the series. This just barely scratches the surface of why I wanted to speed read it and also never finish it. I should also note that as I was reading, I often thought that Kristin Ashley fans would really enjoy this novel, too. 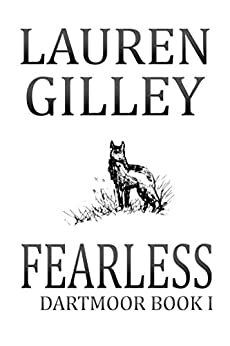 Grab this fantastic novel and plan to surrender yourself to the Lean Dogs and all things Lauren Gilley. Now available as a complete novel, Fearless launches a thrilling new series about the Lean Dogs of Tennessee, and the women tough enough to love them. Look for Book II, Price of Angels, coming March 2015.